If you want to talk to me about the book or about the crypto world in general, please get in touch! Best contact method is my email. I do my best to always say “yes” to podcasts, radio or TV. Call me! Email me! Message me! If you’d like a review copy of the book, please email me with your name and affiliation and I’ll send you one — PDF, ePub and/or MOBI. 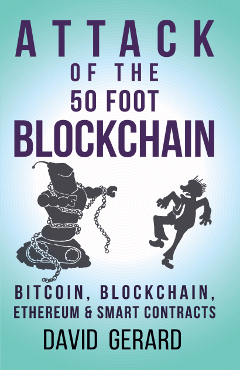 KryptoGraphe, 26 July 2018: What Are the Best Books for Blockchain and Cryptocurrency Beginners? Clive Tong, 27 November 2017: Bitcoin – where does it go next? McKinney, Scott A.; Landy, Rachel; Wilka, Rachel. Smart Contracts, Blockchain, and the Next Frontier of Transactional Law. 13 Wash. J.L. Tech. & Arts 313 (2018). Dujak D., Sajter D. (2019). Blockchain Applications in Supply Chain. In: Kawa A., Maryniak A. (eds) SMART Supply Network. EcoProduction (Environmental Issues in Logistics and Manufacturing). Springer, Cham. Åberg, Emilie (2018). Hype, hot eller möjlighet? en analys av blockkedjeteknik för livsmedelskedjan och dess potentiella inverkan på svenska primärproducenter. First cycle, G2E. Alnarp: SLU, Department of Biosystems and Technology. Koens T., Poll E. (2018). What Blockchain Alternative Do You Need? In: Garcia-Alfaro J., Herrera-Joancomartí J., Livraga G., Rios R. (eds) Data Privacy Management, Cryptocurrencies and Blockchain Technology, pp 113-129. DPM 2018, CBT 2018. Lecture Notes in Computer Science, vol 11025. Springer, Cham. 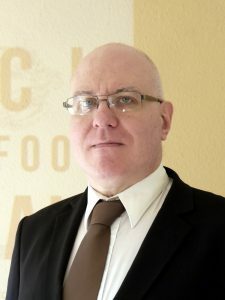 Marković, Jurica (2018). Ethical foundations and moral challenges of blockchain technology. Diploma Thesis. Filozofski fakultet u Zagrebu, Department of Philosophy. Nancy Baym, Lana Swartz, Andrea Alarcon (2019). Convening Technologies: Blockchain and the Music Industry. International Journal of Communication, v. 13, p. 20, Jan. 2019. Intelligence Squared podcast, 2 July 2018: Blockchain: Quantum leap forward or digital snake oil? BBC Radio 5 Live, Wake Up To Money, 14 December 2018: What is Initiative Q? Decrypt Media, 8 February 2019: FreedomCoin: Just another word for nothing left to lose?